Monday thru Friday, 8 a.m. to 4:30 p.m.
Maria Alam has been in the field of Human Resource Management in higher education for more than 25 years. 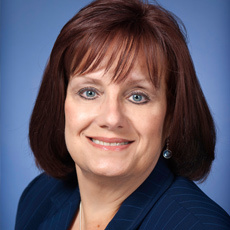 Some of her most recent major accomplishments include establishing quality service initiatives, implementing successful communication strategies, leading HR policy redesign projects, implementing best practices, designing performance management systems, and implementing Employee Recognition Award Programs to establish a culture of service excellence. She is actively involved in various professional organizations including the Society for Human Resources Management (SHRM), the College and University Professional Association for Human Resources (CUPA-HR), and the World at Work Total Rewards Professional Association and is recognized in the Cambridge Who's Who Registry of Executives & Professionals as an individual of distinction who is influential within the HR industry. Prior to joining the University of Memphis, Maria was employed in leadership positions at George Washington University and Florida International University. She has been recognized by previous employers as well as by the CUPA-HR organization for Excellence in Human Resources Management & Practices.